Born on 1956 in a small town of Sicily, Guiseppe Tornatore has made movies which are rooted in the life and culture of his native place. He makes movies which capture the complexities of the people and land of Sicily. His movies are mostly emotional reflections of the past where an individual and the community he belongs to are showcased side by side. 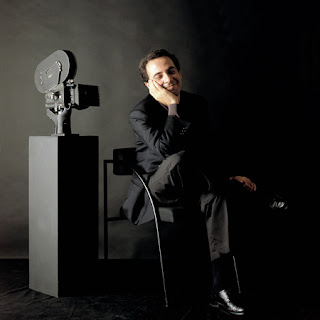 At the age of 16 Tornatore started taking his first steps in show business by directing two stage works: Luigi Pirandello's “Bella Vita” and “L'Arte della” Commedia by Edoardo De Filippo. In 1979 he began to collaborate closely with Italy’s RAI television and made a number of TV films and documentaries. In 1982, Tornatore won a prize for Best Documentary at the Salerno Film Festival for ‘Ethnic Minorities in Sicily’. His first full length feature film was Il Camorrista, in 1985 which was adapted from a novel by Giuseppe Marazzo. The movie was about an Italian journalist's valiant struggle against the mob. It won him the Italian Golden Globe for the Best Young Director. 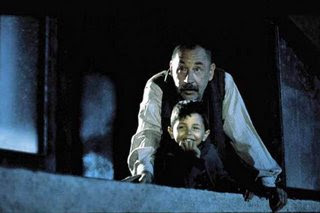 But the movie that really propelled him into the limelight was 1989’s Cinema Paradiso. The movie about a famous director returning to his hometown for a funeral and his subsequent trip down memory lane won Tornatore great accolades. It won the hearts of both audiences and critics all over the world and went on to win the Special Jury Prize at the Cannes Festival in 1989, the Golden Globe in Hollywood in 1989, and the Oscar for Best Foreign Picture in 1990. From then on he has gone on to make other notable movies though none so far has managed to achieve the success of Cinema Paradiso. His ‘The Star Maker’, released in 1995, is about a talent scout searching through the country side of Sicily and the stories of the people he encounters. The movie brought him his second Best Foreign Language Oscar Nomination. His 1998 movie, ‘The legend of 1900’, about a pianist who lives his whole life in the sea and never sets foot on land was widely considered as one of his lesser works. He bounced back though with the wonderful Malèna a touching tale about the passionate power of fantasy and the destructiveness of rumors. Tornatore’s movies are simple emotional fares which strikes a chord with anyone who has had the good fortune of experiencing it. He transforms his beloved Sicily into a place that we readily identify with. His movies stress the importance of society and its effect on individuals; be it the good, the bad or the ugly. If Cinema Paradiso highlighted the joy of togetherness then The Star Maker highlighted the common desire of the society to make their life better than what it is. While ‘The legend of 1900’ showed an individual rejecting the society due to circumstances, Malèna showed the society alienating an individual due to sheer jealousy. Tornatore is also a master craftsman. His collaboration with Ennio Morricone has produced some of the most haunting soundtracks in movie history ranging from Cinema Paradiso to Malèna. His photography of the beauty of Sicily is stunning. He is a director who is willing to take risks by putting in non-professional actors in his movies. He rarely gives interviews preferring to let his work speak for itself. Maybe he can afford to do that because his works do speak volumes. Thanks for chekin'up my blog, I appreciate your comment, thanks a lot. Buenas tardes, desde España (La Coruña) un saludo a todos vosotros. "Malena" is a little classic. Hey Biby Cletus, thank you so much for post! Yours is also an interesting place, but too much advertising from google! don't you think so? I see many people administrating or maybe just posting on here, that's great! By the way, it's really nice having our first post and visitor from INDIA at my blog (I say "my" but actually, it's a place I share with my partners from the University). Have a nice weekend, enjoy and you are wellcome at tiie.blogspot.com whenever you want! BIBI.ESTE FILM ME ENCANTA.YO VIVO EN UNA CIUDAD,QUE TENIA ESE TIPO DE CINE EN MI BARRIO,EN MAR DEL PLATA,ARGENTINA.ERA EL CINE AVENIDA.Y LO QUE PASO EN CINEMA PARADISO, LO HE VIVIDO.ADEMAS LA MUSICA ES SIMPLEMENTE MARAVILLOSA. CUANDO ME AGARRA LA NOSTALGIA . LA MIRO POR MILESISMA VEZ. UN SALUDO Y BRINDO UN HOMENAJE A TORNATORE Y LOS ACTORES. Thanks for your warm regards,It's a big pity that I'm not good at english,however,I try my best to study what your article express.It seemed intresting that have some foreign net friend.good luck!